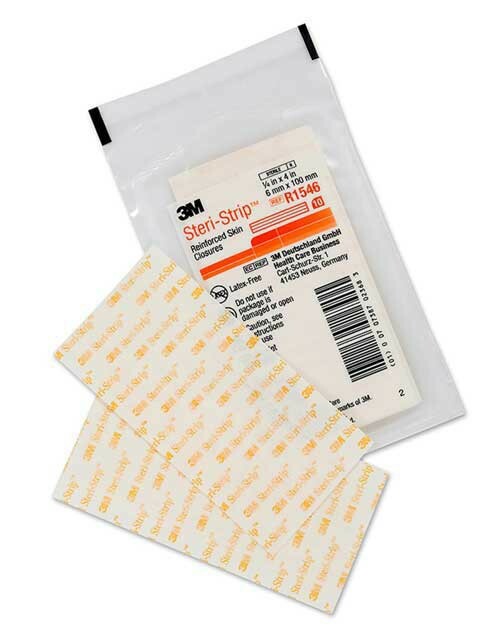 3M Steri-Strip Adhesive Skin Closure Reinforced are sterile skin closure strips. 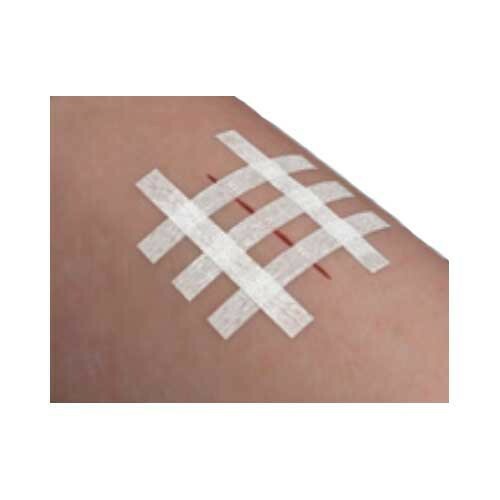 These wound closure strips are made of a porous, non-woven backing coated with a pressure-sensitive, hypoallergenic adhesive. 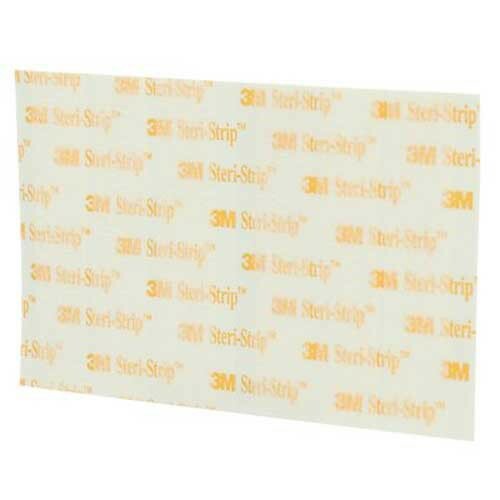 Each strip is reinforced with polyester filaments for added strength. 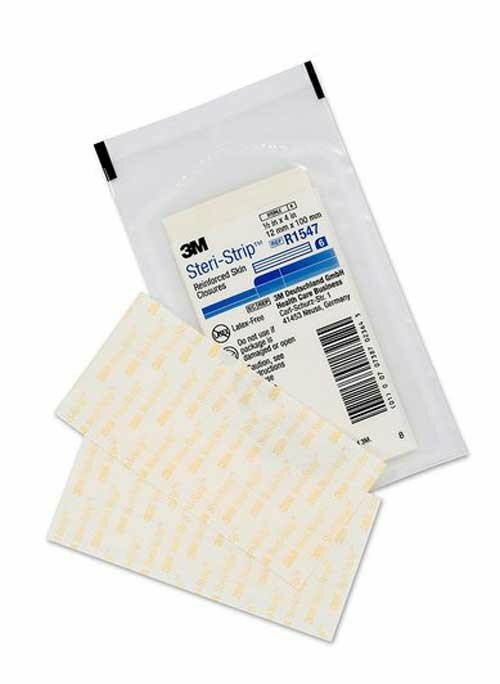 Reinforced Steri-Strip skin closures provide general wound support for increased tensile strength. 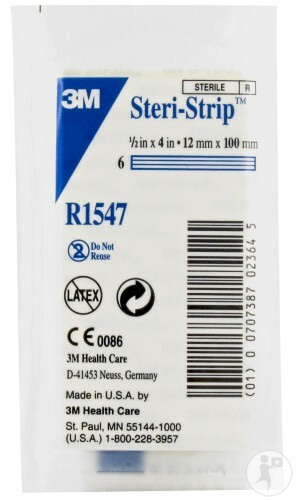 Steri-Strip Reinforced are designed to offer finer wound edge approximation for easier application and better outcomes. Permits earlier staple and suture removal for less scaring. Better cosmetic outcomes than stapes or sutures. 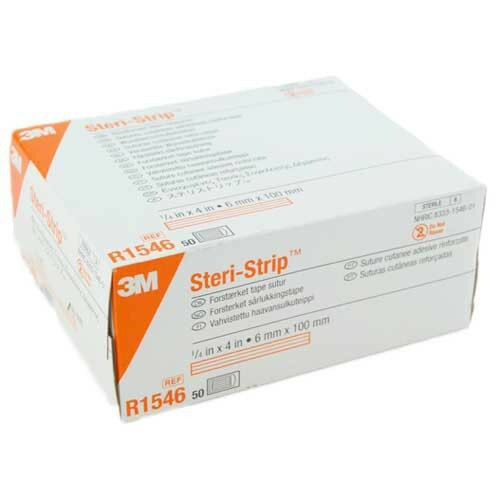 Assists with increasing the tensile strength of the wound. Breathable to promote faster healing and more patient comfort. 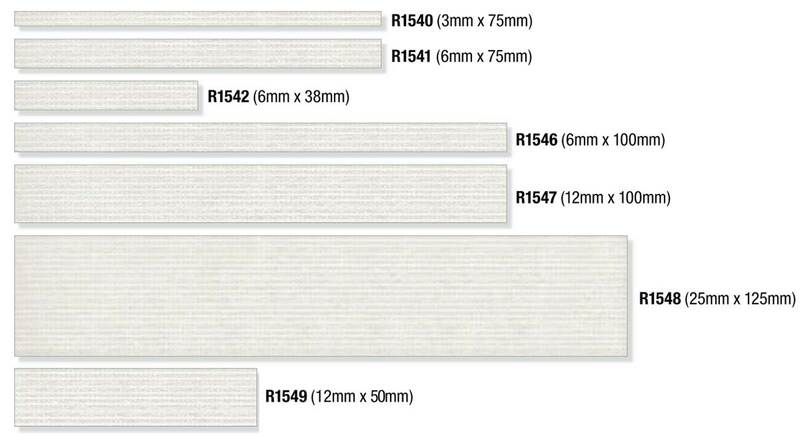 Product Numbers: R1540, R1541, R1542, R1546, R1547, R1548, R1549. Width Sizes: 1/8, 1/4 or 1/2 Inch. Length Sizes: 1.5, 2, 3 or 4 Inch. Material: Rayon-backed material reinforced with filaments. 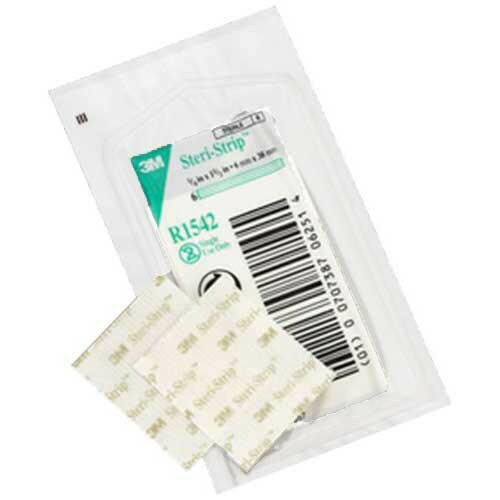 Steri-Strip Adhesive Skin Closure Applications contains information about use and application instructions. Package Insert Instructions contains information and instructions from inside the box. 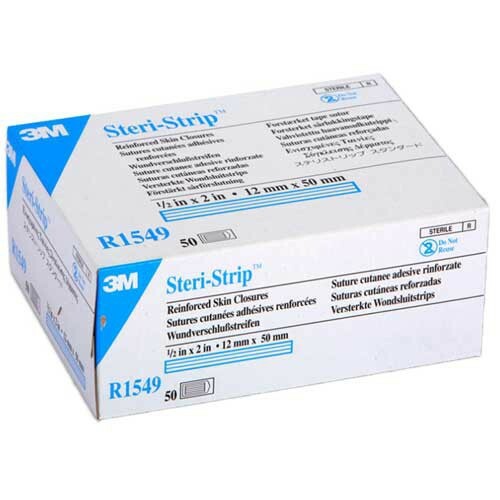 3M Catalog of Steri Strip Options contains product information and images. FAQ's contains frequently asked questions and their answers. 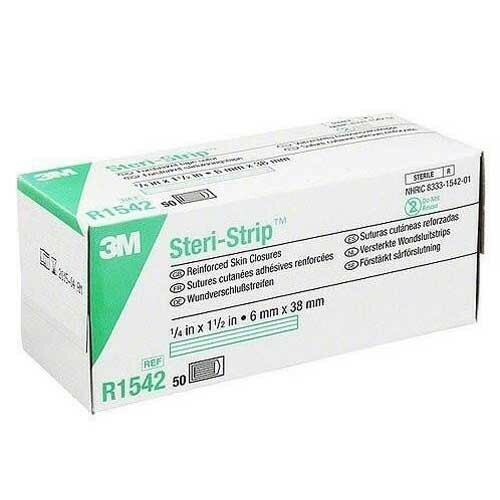 Clinical Evidence of Steri-Strip in Use contains information about use and outcomes. 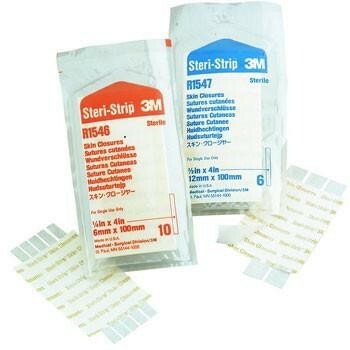 I use these strips and I find them very effective for covering the wounds. 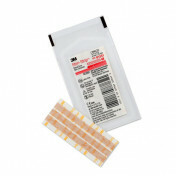 These strips are porous in nature to allow air to pass through. These are made up of rayon and are non-woven. 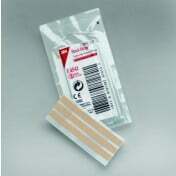 The hypoallergenic adhesive is added so that they are easy to stick on the wound. 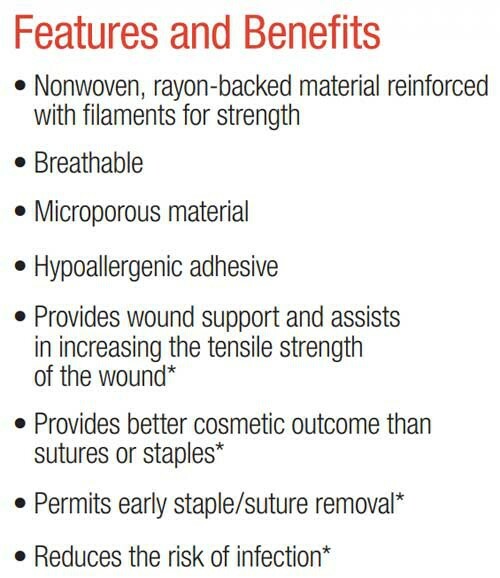 These are reinforced filaments to retain strength of the affected area. 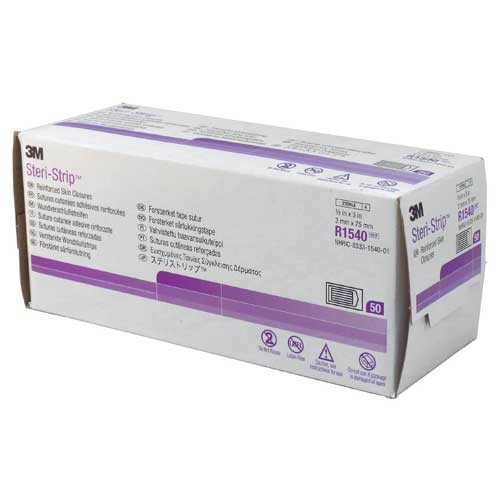 It prevents the growth of bacteria on an affected area. I will continue to buy this product.